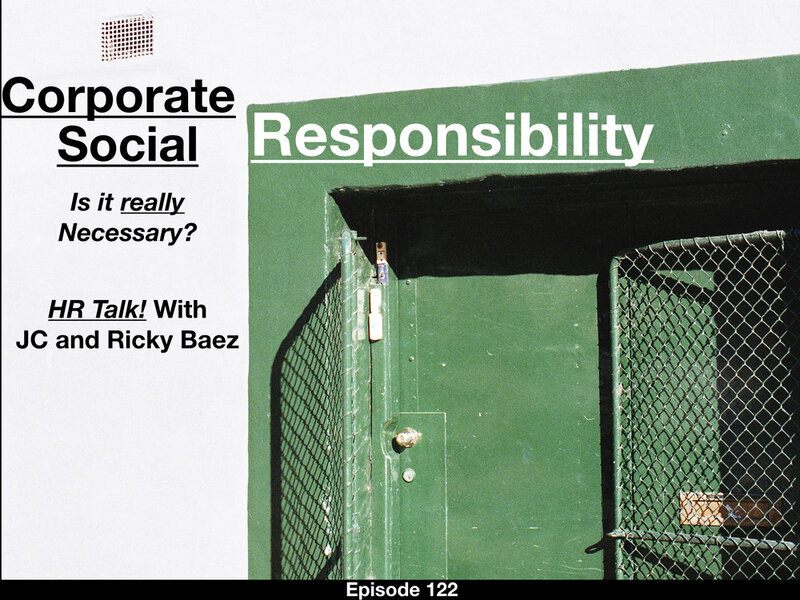 CORPORATE SOCIAL RESPONSIBILITY — HR TALK! Corporate Social Responsibility. It's a "buzz" term making its rounds in the HR community. But do we really know what it means? JC and Ricky dive into the subject!